Looking at how we can support oil and gas production into the future as we enter increasingly challenging environments, we have created a range of technologies for specialist applications. Enabling steam flood completions in previously inaccessible offshore heavy oil reservoirs, in collaboration with OGTC and a UKCS independent operator. Pragma’s Downhole Steam Injection Valve (DSIV) and Extreme Temperature Safety Valve (ETSV) are variations of a single valve developed for use in extreme high temperature applications such as steam flood recovery. Steam flood recovery can have a significant impact on the reservoir enabling higher recovery rates and increased production. 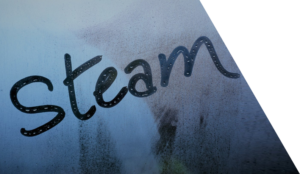 Whilst steam flooding for offshore developments has previously been considered, technical challenges have prevented its adoption. One of those challenges was the development of a high temperature steam injection safety valve which is required in most offshore regions. With funding from a pioneering independent UK operator and the government backed Oil and Gas Technology Centre, Pragma are developing their DSIV to enable the use of steam flooding in the UKCS for the first time. The valve will be able to withstand temperatures of up to 343°C, with surface control, premium corrosion resistant materials and full metal to metal seals for reliable function over the life of the well. This will set apart the technology as the only valve on the market capable of withstanding these harsh conditions. A compact Subsurface Safety Valve for cable deployed ESPs, ensuring your well continues to produce safely when your main ESP fails. This technology also enables highly depleted slimwells to be put on ESP lift. The latest advances in ESP technology have resulted in the development of highly efficient cable deployed systems. 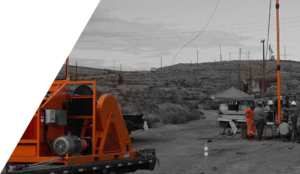 These systems are low cost and retrofittable and do not require a rig or drill crew for installation. They are opening up vast opportunity to increase production from depleting wells across the world, enabling additional recovery from onshore and offshore brownfield sites that would have otherwise been uneconomic. However, with a permanently installed ESP cable running through the completion, the existing safety valve is rendered inoperable. To solve this problem, Pragma are developing a totally unique subsurface safety valve that is extremely compact, with minimal moving parts and a simple operation mechanism requiring no capillaries, hydraulic fluids or control mechanisms. It is can be run as part of the cable deployed ESP system, minimising the number of required runs or separately if required. The ESPSV is enabling the safe use of cable deployed ESP systems, which in turn will open up new on and offshore opportunities for increased production all over the world.